Together » Blog Archive » Does focus on Holocaust tourism dim the memory of vibrant prewar Jewish life? 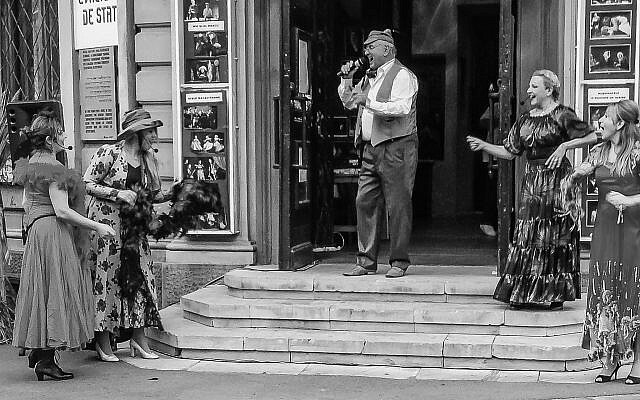 Does focus on Holocaust tourism dim the memory of vibrant prewar Jewish life? BUDAPEST — When one first hears the term “Holocaust tourism” there can be an urge to shudder, or even an unsettling feeling of anxiety. But the rather strange turn of phrase describes a stark reality — Holocaust history is a thriving global tourist industry attracting millions of visitors per year. Unsurprisingly, the most popular destination is Auschwitz. Since being liberated by Red Army troops on January 27, 1945, over 44 million peoplefrom across the globe have visited the former death camp located in what was Nazi-occupied Poland. An estimated 1.1 to 1.3 million victims — 960,000 of them Jewish — were systematically killed by the SS there over approximately four years. Over the last seven decades, tourists seeking to understand this dark epoch of Jewish history have grown exponentially. In 1946 around 100,000 people visited Auschwitz. By 2014 that figure peaked to almost 1.5 million annually. 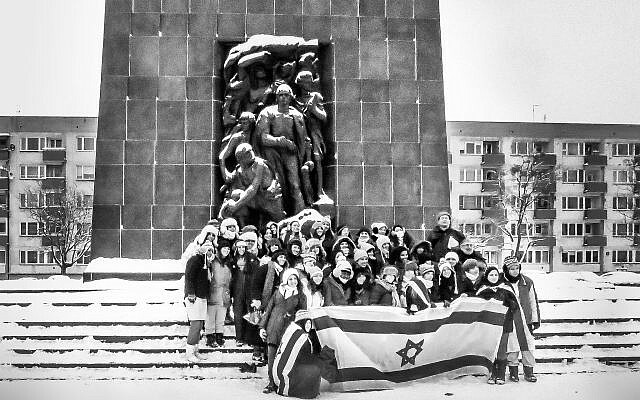 Indeed, Holocaust memorial sites in Poland — and elsewhere in Central and Eastern Europe — have largely come to dominate what scholars, educators, travel writers and memorialists now commonly refer to as Jewish heritage tourism. The question is whether there is a cultural cost for tourists viewing certain parts of the map of Central and Eastern Europe almost exclusively through the dark prism of the Holocaust, especially as many of those tourists are Jews seeking to understand their own complex history. Daniel J. Walkowitz believes there is. 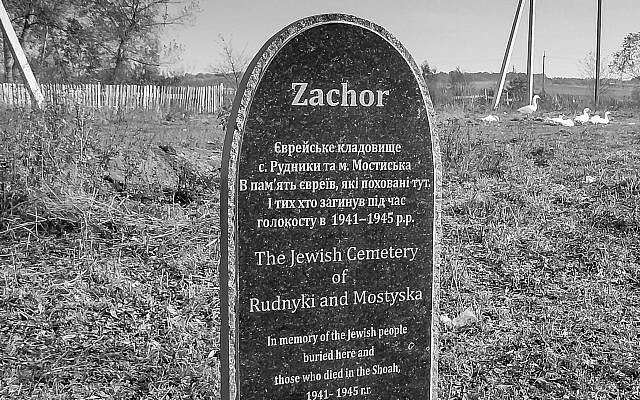 The American academic claims that by focusing almost exclusively on Holocaust tourism — which largely incorporates graveyards, synagogues, and religious iconography into its narrative — the Jewish heritage industry is in danger of erasing from collective Jewish memory a vibrant world that existed before the Shoah. “I had [a number of] relatives that perished in the Holocaust, but much of my own Jewish culture and roots came from the Jewish experience in Eastern and Central Europe before the Second World War,” the 76-year-old historian tells The Times of Israel from his office at New York University, where he currently holds a joint appointment with the Department of History and the Department of Social and Cultural Analysis. The historian has recently published “The Remembered and Forgotten Jewish World,” a book that charts how the Holocaust narrative became particularly important for Jews in Israel in the wake of the 1967 Six Day War. But Walkowitz believes focusing on this narrative exclusively has meant a substantial amount of Jewish history and culture has been sidelined in the process. This is mainly because “it views the history of Jews as victims, without affirming the agency that Jews had in the Second World War — in the Warsaw Ghetto and elsewhere,” he says. “[Israeli students] now come to Poland with deep prejudices,” he says. Walkowitz’s book provides a critical first-person analysis of the flourishing Jewish heritage industry in numerous cities where Jews once had — and in some instances still do have — a dominant influence on public intellectual, economic, and cultural life. 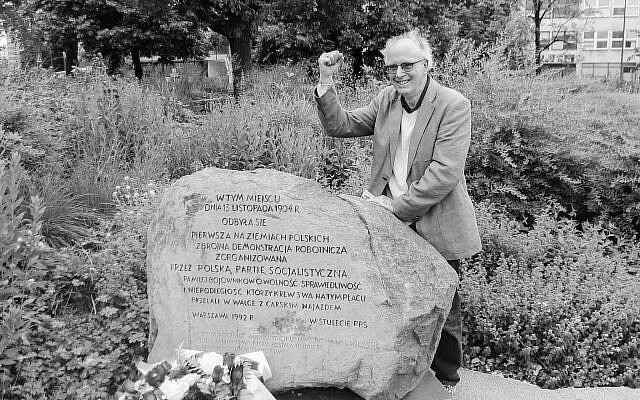 His research took him to cities and towns such as Łódź, Lviv, Kiev, Kraków, Warsaw, Belgrade, Budapest, Bucharest, London, New York, and Berlin. It’s a history that is not without complication, trauma, controversy and collective amnesia on the part of Europeans locals, as well. The historian says the further east one travels behind the old Iron Curtain, narratives connected to the Holocaust tend to get more complex and bound up with unresolved ghosts of history. Hungary, situated along the old Cold War East-West division, is a good example of a country refusing to face up to the role it played during the Holocaust, says the historian. Walkowitz claims Hungarian Prime Minister Viktor Orbán’s authoritarian, self-proclaimed “illiberal” Fidesz government is still distorting Hungary’s Holocaust narrative to suit its own nationalistic political agenda. Before delving into this topical issue, though, Walkowitz says it’s important to remember some hard historical facts, which his book documents in detail. By the time Hungary was liberated by the Soviet army in April 1945, 568,000 Hungarian Jews had been liquidated in the Holocaust. Many of them died in Auschwitz. Nearly 80,000 Jews were killed in Budapest itself, shot on the banks of the Danube and then thrown into the river. Tens of thousands of others were forced on death marches to the Austrian border, while numerous other Jews died in the closed Budapest ghetto of cold, disease, and starvation. Historians unanimously agree that Hungary’s culpability in the Holocaust is undeniable. Indeed, anti-Semitic laws were in place in Hungary as early as 1938. 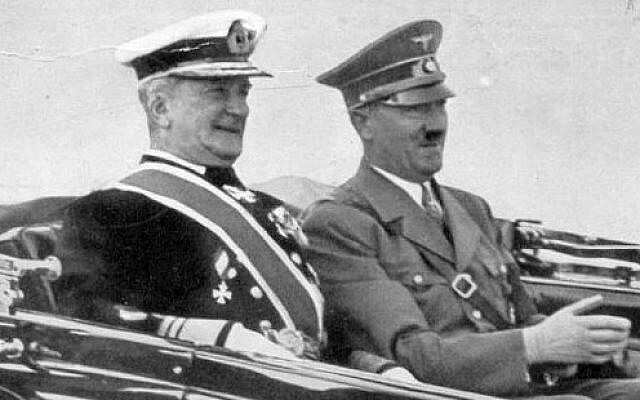 Paradoxically, because Hungary sided with the Nazis, for a time the Jews remained relatively safe compared to other European Jews during World War II. That changed, however, in the spring of 1944 when German troops invaded Hungary. Between May 15 and July 9 of that year, 437,000 Hungarian Jews were sent to to death camps in Poland, handed over to the Nazis by Hungarian leader Miklós Horthy. Today, that tragic history still courts controversy in Hungary, raising the difficult question of where exactly the responsibility lies for the massacre of over half a million Hungarian Jews. Walkowitz says Hungary’s two state-sponsored Holocaust remembrance projects don’t really engage with this question as much as it deserves. The academic also notes that the latter museum on Budapest’s Andrássy street is located in a building that once served as the headquarters of the Hungarian Arrow Cross Party — a pro Nazi party led by the ruthless Hungarian fascist Ferenc Szálasi, who introduced a reign of terror for Jews in Budapest during the last six months of WWII. Budapest’s House of Terror also presents what the historian claims is essentially a diluted and simplified version of late 20th century Hungarian history, depicting Hungary as a helpless underdog smothered by the dark outside forces of totalitarian terror. But Walkowitz says it makes almost no distinctions in its narrative between the Nazi and Soviet eras. Consequently, any details of collaboration by Hungary against Jews are merely swept over or even ignored. This historical omission, he says, is both problematic and insulting to the Jewish community in Budapest, which now stands at around 80,000, making it the third-largest Jewish community in Europe. Hungary’s refusal to deal with its checkered historical record during WWII is today exacerbating international tension within the EU, and between Israel and Hungary, in a narrative where anti-Semitism is always the underlying theme. Walkowitz points out two recent public political controversies connected to this narrative. One is the closure of the Central European University in Budapest which was funded by the Jewish Hungarian-born billionaire George Soros. This came after a huge public poster campaign in 2017 depicting Soros as financing a plan to invade Hungary with migrants. Things eventually culminated with what became known last year as the anti-immigrant “Stop Soros” laws. The Hungarian government suffered severe international criticism for this legislation, which was said to have fed into stereotypical age old narratives about cosmopolitan Jewish financiers plotting to corrupt and undermine a country’s national identity. A second controversy, says Walkowitz, centers on the upcoming House of Fates museum, which is set to open this year in Budapest to mark 75 years since the onset of the extermination of Hungarian Jewry in 1944. 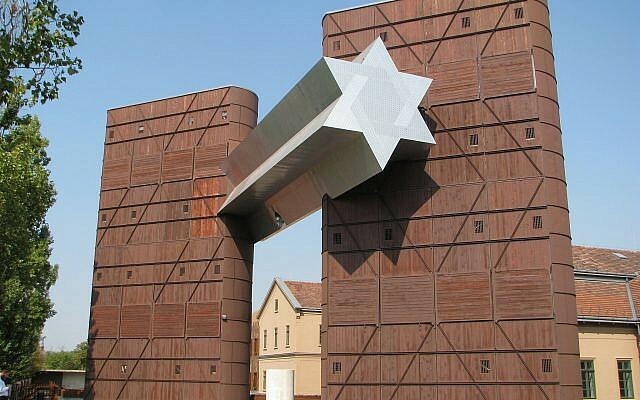 Both the Hungarian Jewish Federation and Israel’s Yad Vashem have expressed open criticism of the museum’s approach to Hungary’s role in the Holocaust. This has even led to recent talks between the Hungarian and Israeli governments to try and smooth over what is quickly becoming a fiery diplomatic sparring match. 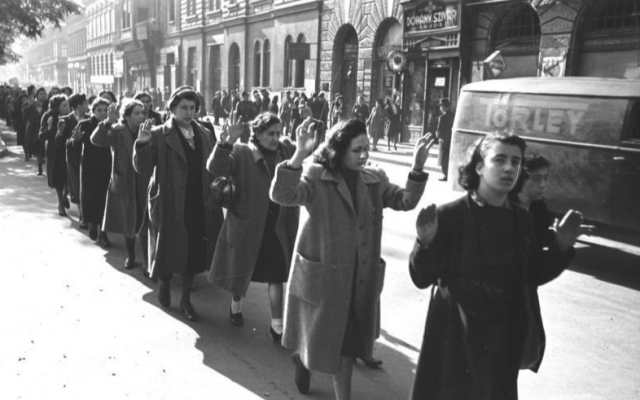 “Both of these events [show that] prospects for Jews in Budapest are dire,” says Walkowitz. As his working field trip moved back towards Western Europe, Walkowitz says he observed a noticeable shift in how the Holocaust is treated in the public domain — especially in Germany. The historian even dedicates an entire chapter to a city that was once the headquarters of the Third Reich. Entitled “Berlin, A Holocaust Cityscape,” the chapter explores the fact that the former Nazi capital has clearly owned up to and dealt with its shameful genocidal past in an open and transparent manner. 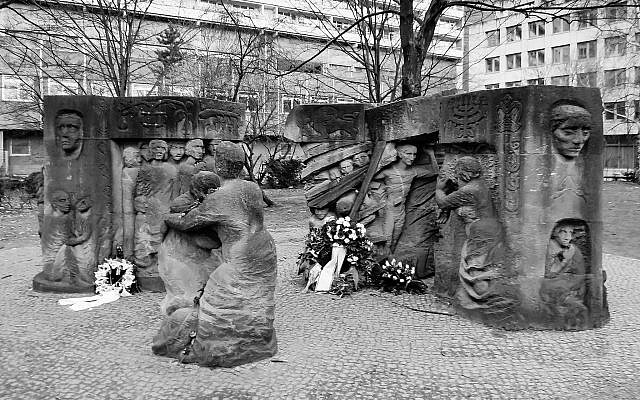 With a prominent Jewish museum, and a dozen other public memorials and monuments scattered around the city, Berlin itself is a kind of Holocaust museum, says Walkowitz. Berlin’s Jewish population before the Nazis came to power in 1933 was around 160,000. By the end of WWII only 8,000 remained, surviving by hiding or marrying non-Jews. 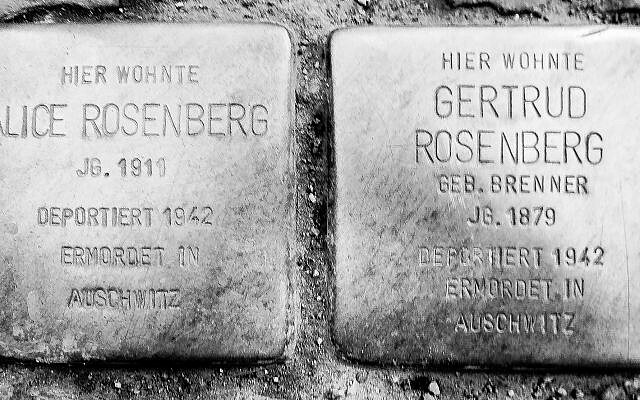 Today that number has swelled to somewhere between 10,000 and 30,000, though figures are hard to pin down since many are non-German Jews and do not register with the authorities. It’s a radical political and cultural tradition that began in the Pale of Settlement in the late 19th century, and which flourished in Central and Eastern Europe before it was obliterated by the Nazis. Walkowitz’s exploration of this radical history can be read alongside books such as “Revolutionary Yiddishland: A History of Jewish Radicalism” and “Jewish Materialism: The Intellectual Revolution of the 1870s.” Both focus on a working class, radical left wing Jewish tradition that was a prominent force in Central and Eastern Europe until the eve of WWII. Building on the work explored in these books and others, Walkowitz argues that communist and socialist accounts have been almost entirely obliterated from 20th century Jewish history. They have, he says, been lumped together into one vision of Stalinism instead of being given the complex expression they had in progressive and egalitarian Jewish labor organizations such as the Bund. Walkowitz believes the Freudian phrase “psychic disavowal” is a fitting way to try and come to terms with this complex and often paradoxical approach to 20th century Jewish history, where what is forgotten is always revealed even if it is marginalized in its presentation. Walkowitz then references Irvine Howe’s 1976 Pulitzer Prize winning book, “World of Our Fathers,” which he says captured the vibrant past of Yiddishkeit (Judaism) — a word he says best describes a world in which Jews in Eastern Europe communicated a secular culture predominantly about social justice through songs, newspapers, political activism, and theater. And, most importantly, where the lingua franca was always Yiddish. The historian concludes the conversation by coming back to his own Jewish roots. He says writing this book felt like a voyage of sorts — one where he learned just as much about larger Jewish heritage as he did about his own ancestry. The tome includes a number of family stories that includes figures such as the author’s grandmother, Ida Lubertofsky Walkowitz, and his grandfather Max Margel — two Polish Jews who emigrated to the United States in the early 20th century and kept with them the fiery spirit of Jewish socialism on their westward journey. “Writing this book, I came to appreciate that the stories we inherit are often romanticized,” says Walkowitz.